Gold, one of the world's most precious metals, dates back to the dawn of mankind. All great civilizations built up treasuries of the lustrous metal, reserving golden objects for their most important rituals. However, the most alluring use of the sun-colored metal has always been in jewelry. The Egyptians, largest producers of gold in the ancient world, equated gold with the sun, the giver of life, and reserved its use for pharaohs only. The ancient Etruscans created meticulously hand wrought objects using fine granules and threads of gold, a technique still practiced today. • Remember that gold is lasting and durable but can get scratched or dented if treated roughly. • Gold's worst enemy is chlorine. Repeated exposure can weaken gold's structure, eventually leading to breakage. So keep your jewelry away from chlorinated cleaning products and out of swimming pools and jacuzzis. • Protect your gold jewelry by storing it safely or keeping it wrapped in a soft cloth when not being worn. • Clean your gold jewelry with a cleaning solution of sudsy lukewarm water, or bring it to your local jeweler and have it steam-cleaned. • Dry and polish jewelry with a chamois or soft cloth after cleaning and rinsing. • Keep gold jewelry free from dust, moisture, perspiration and makeup. • Always inspect your gold jewelry for weakness or damage and bring it to a professional jeweler for immediate repair. Your jeweler will be able to restore it for you. Surface treatments for gold jewelry create patterns and designs. Often finishes are mixed to create contrasting effects. Types of Finishes • High Polish: Bright, shiny, highly reflective. • Satin Finish: Light parallel lines sharply reduce the metal reflections. Has a soft and lustrous appearance. • Matte: "Velvet-like" finish, without shine but having a soft luster. • Etched: Chemically or hand created designs or patterns cut into the surface resulting in a textured finish. • Brushed: A light "satin-like" finish, produced by a stiff metal brush. Can be applied in a linear or circular pattern. • Florentine: Parallel lines are engraved in one direction, then lighter cross hatching or curved strokes are made in the opposite direction. The lines are deeper than on a brushed or satin finish. • Hammered: Design created by hammering directly onto the surface. Can be light or deep depending on the type of hammer used. • Engraved: A design is cut with a sharp-edged tool. • Diamond Cut: A faceted, bright look is achieved by making tiny angled cuts to the surface. • Filigree: Consists of fine wires that are twisted together and then flattened and bent into intricate designs. These delicate patterns are surrounded by a framework of sturdier gold. • Diamond Laser: Highly reflective finish created by hammering the surface with a faceted, diamond-tipped tool. • Granulated: Small, rounded gold particles placed by hand on a gold surface and fastened by a heating process. • Enameled: Fusing colored glass onto metal surface. • Embossed: Shaping a pattern in relief in sheet metal. • Lost Wax Casting: The process of duplicating an object by forcing molten metal into a mold. Jewelry can be reproduced quickly, practically and exactly by any of several casting methods; centrifugal or vacuum casting are most common. Casting has greatly influenced and changed the design and manufacture of jewelry; A gold jewelry object which requires considerable labor cost to fabricate by hand can be cast for significantly less. • Chain: Nearly all chain is a series of connected loops of metal wire. Chain links are generally assembled, soldered (joined together), and then limbered up to make them flexible. Today, although handmade gold chain is available, most chain is produced by computer-controlled machines, which can be programmed to produce a wide variety of different designs. • Die striking/stamping: A process in which jewelry items are pressed out, partially or completely, by driving hardened steel dies of the desired shape into a sheet of gold under pressure. The process lends itself well to mass production. • Electroforming: The process of forming objects by the electrolytic deposition of a metal (gold) on a mod or mandrel (usually wax). The mold or mandrel is later removed, resulting in a strong but hollow piece of gold jewelry. Electroforming allows for intricately designed, dimensional pieces of karat gold jewelry. Electroforming should not be confused with electroplating. Each of these manufacturing techniques includes the final steps of cleaning and polishing to bring out the beauty of the finished gold jewelry item. • Gold plate, rolled gold plate: The same as gold filled except the quantity of karat gold may be less than 1/20th of the total metal weight. 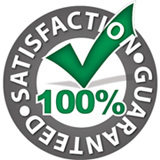 (Typical quality mark-1/40th 12K RGP). • Gold electroplate: An electrolytic process where a coating of gold of not less than 10K fineness, with a minimum thickness equivalent to 7 millionths of an inch, is affixed to all significant surfaces. • Vermeil: Gold with a minimum fineness of 10K mechanically bonded or electroplated over a base of sterling silver. The thickness of gold must be at least 120 millionths of an inch. For centuries, the troy system has been used for weighing gold and other precious metals. Internationally quoted gold prices are based on 24K gold and the troy ounce. For example the gold price you read in the newspaper reflects the price of one troy ounce. Gold in its purest state, 24 karat, is often considered too soft for use in jewelry. Gold is mixed or ALLOYED with one or more other metals to produce optimum strength and color characteristics. A measurement of fineness (purity) equal to 1/24 pure gold in an alloy. Pure or fine gold is 24 karat, 14 karat means 14 parts of 24 are pure gold, mixed with 10 parts of other metal.